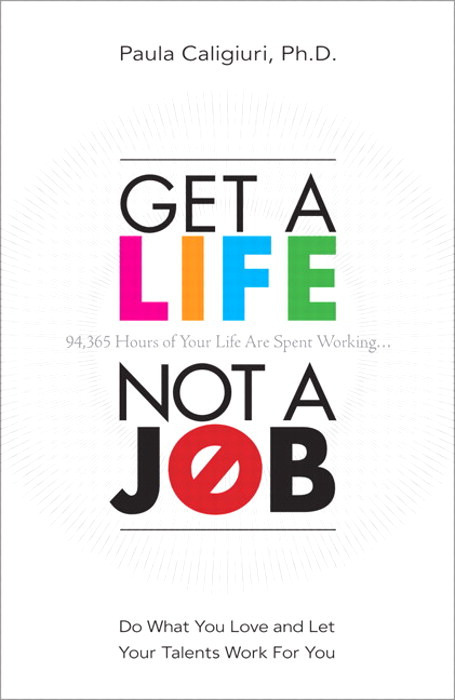 Front to back, Get A Life Not A Job is under 200 pages and a quick read..... if that's all you intend to do with it. If you use it as a work book for your career it could get all dog eared and soft, comfortable like a good friend. As it should. How do you answer the question, how do you feel on Sunday night? Do you dread Monday, the boredom or monotony of the workweek, dislike things about your workplace or the people there, or are you overwhelmed by the work itself? If the slump is serious maybe it's time for a new act.... Maybe a multiple career act. Maybe it's our culture of stoic old world work ethic that still lingers and makes us think a successful career means one job till retirement, like my uncles who went from school to the automobile industry in Detroit to retirement. I don't remember hearing about how much they loved their jobs, just how good the benefits and retirement plans were. Why do we feel the need to defer our happiness? It that all there is? Working for the future? 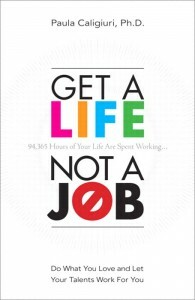 Spending 40 years - the prime of our life - trying to get ahead not loving what we do? I started thinking of celebrities and athletes with multiple income streams. OK, maybe they aren't in the chemistry lab concocting the fragrance themselves or proficient in auto cad, designing the next indoor grill between movie gigs and concerts... But, how many of us are well known enough to be asked to endorse products and be paid for it or have enough money to invest in a new venture? Well, not many for sure, but the book puts down every excuse known to mankind for not doing what you love and making a career out of it. The book walks you through how to do it. Paula Caligiuri, Ph. 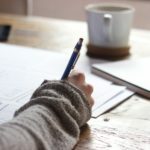 D., writes about investing in yourself and analyzing your options for simultaneous career acts and taking steps toward career freedom. She deftly points out that turning a passion into a career cannot be only a dream, it can be a reality. I think it was the example of Monica and her multiple career acts that most resonated with me, though there are plenty of real life examples for inspiration. Monica was unfulfilled by her career as an organization development specialist when after 6 years she was laid off and turned her passion for gardening into being a gardening coach and now combines that with a few days a week of management coaching and some website development on the side. Does that type of variety intrigue you?